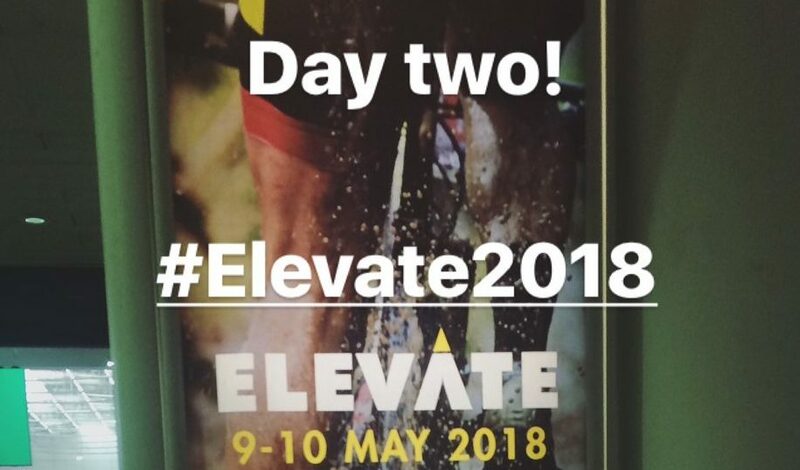 Just sitting back in at Euston awaiting my train, just reflecting on what and amazing event Elevate 2018 has been. I am all talked out, I have spoken to such a wide range of awesome people. I think one of the things that is interesting for me is the range of ideas and opinions there are out there when it comes to improving the health of the nation. I have found it fascinating to see how people are approaching a common theme form very different angles. So what have been the highlights of today, well the first talk I saw set me up well for a positive day. I listened to Paul Swainson of Future Fit talk about making money as a personal trainer, Paul is somebody who knows the industry and is a key driving force in raising standards across so many aspects of our industry. He discussed a topic that we have a great deal of synergy in our thinking on in terms of personal training as a product should be packaged around results rather than number of sessions. Good session and anyone who sees his name on the conference circuit I strongly recommend you looking him up. I also managed to catch another couple of talks today, one that I found particularly interesting was chaired by Sue Anstiss this focused on some of the background to behaviour change. I found the section from Tanya Joseph who was behind the enormously successful ‘This Girl Can‘ campaign very interesting. She spoke about some of the applied data that they used to help discuss with various stakeholders how to present and market their physical activity offerings. All in all it was a great two days, loved meeting a load of new people and some old faces too! Elevate is really one of those events where you feel welcome and it is truly inclusive, with all kinds of opinions and ideas being discussed in the hope that we can improve the health of our nation. If you did not attend Elevate this year it is well worth looking forward to and getting booked in for Elevate 2019. If you end up there do let me know and we can meet up catch a talk or have a coffee.